Signed copies by Natalia Bonner & Kathleen Whiting. Back to square one. Here are 22 exciting quilts, and all you need is one simple block pattern to make each one! From throws and wall hangings to queen-sized blankets, sewists of all skill levels will be inspired to create something new by manipulating this one simple block pattern with interesting fabrics, unusual shapes, and expressive lines. Expert quilters provide clear step-by-step instructions and a quiltmaking overview to help you from start to finish. 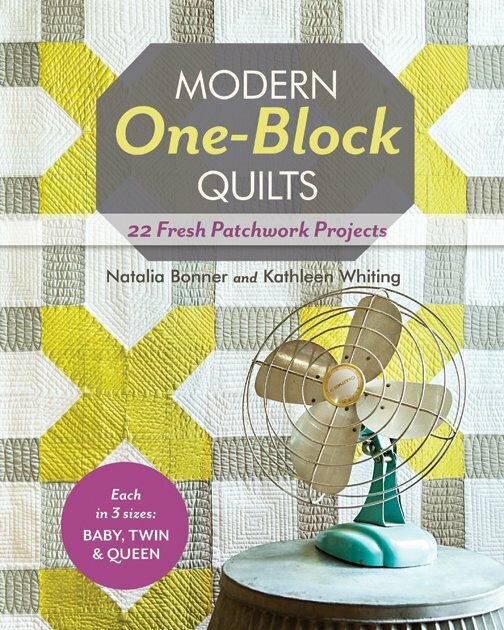 • Great value: 22 quilts in 3 sizes each - baby, wall, and queen - 66 quilt possibilities in all!